Kung Fu Panda 3 was just released today and now you can score deals on Kung Fu Panda 2. 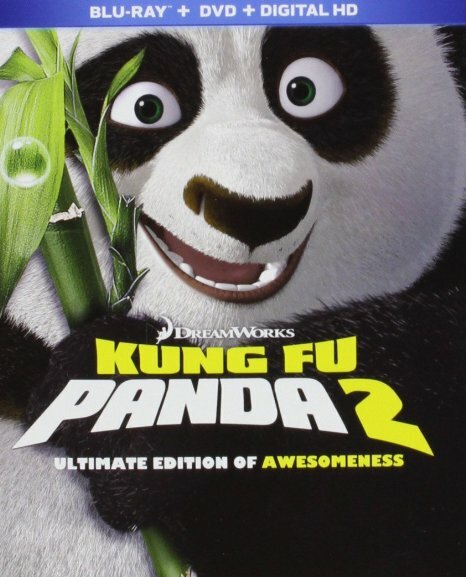 Right now Amazon has Kung Fu Panda 2 [Blu-ray + DVD + Digital HD] for $7.99 for Prime Members ONLY!!! In "Kung Fu Panda 2," Po is now living his dream as The Dragon Warrior, protecting the Valley of Peace alongside his friends and fellow kung fu masters, the Furious Five. But Po's new life of awesomeness is threatened by the emergence of a formidable villain, who plans to use a secret, unstoppable weapon to conquer China and destroy kung fu. Po must look to his past and uncover the secrets of his mysterious origins; only then will he be able to unlock the strength he needs to succeed. Kung Fu Panda (Widescreen Edition) DVD is only sale for $5 & FREE Shipping on orders over $49. Anyone can score this deal, it is not limited to PRIME only.